How can you ensure effective collaboration between tourism attraction, economic development, development planning, commerce, and all key stakeholders to deliver more effective results? Our speakers are developing and managing organisational structures that bring together key disciplines – hear what lessons they are learning about the opportunities and challenges of collaboration. What ideas do they have which you can transfer to your place? It might seem odd that your citizens and your politicians don’t always understand the value of what you do, but it’s essential to advocate for the positive benefits of tourism and incoming investment. Our panel discuss pro-active advocacy, positive citizen engagement and the challenge of reacting to negative publicity and policy. What makes a great neighbourhood and how do neighbourhood brands interact with city and regional place brand perceptions? If places that people want to visit are also places where people want to live and work: how can you create the connections that will work for your place? As Chinese tourists travel the world in ever-growing numbers, they seek more adventurous and unique destinations to absorb local culture, gain a fresh perspective and experience iconic natural environments. Along the way, they are redefining the concept of placemaking and its impact on economic development. China Luxury Advisors (CLA) will host a discussion ranging from recent trends and preferences of Chinese travelers to exploring the opportunities and challenges that destinations face in courting the largest and most dynamic new consumer group in the world. As arguments about the rights and wrongs of a wall on the US border with Mexico continue, how are the states who benefit from being good neighbours managing their place brand and marketing strategy? Learn from two innovative and mulit-award winning organisation how social media strategies can go beyond using influencers and a hashtag. Find out how the Faroe Islands has engaged with global travellers and Copenhagen has created its own database of tech talent through innovative social media strategies that have delivered reach and impact way beyond expectations and media spend. Already a world city, LA is now planning for the Olympics 2028 and developing a strategic plan to enable the city to engage its citizens in the arising opportunities, and to develop its infrastructure to enable a sustainable development in tourism and its economy. Hear how the city’s key stakeholders are coming together to build a unified vision for its future. 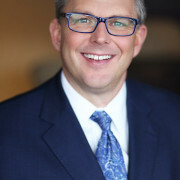 Matt Pivarnik is CEO of the Greater Topeka Partnership, a collaborative organization created in 2017 that includes GO Topeka Economic Development, Visit Topeka, Downtown Topeka Inc., the Greater Topeka Chamber, FORGE Young Professionals and other community development organizations. Topeka, Kansas is experiencing a regional renaissance. 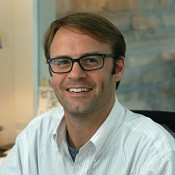 Matt moved to Topeka from Tulsa, Oklahoma, where he served the Tulsa Regional Chamber, a partnership organization focused on placemaking, economic development and tourism. 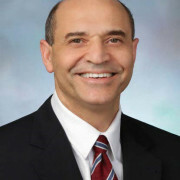 Victor Hoskins became the Arlington Economic Development (AED) Director in 2015 and is most known for leading the team that successfully attracted Amazon HQ2 to Arlington County, VA, a deal that will bring 25,000 jobs and more than $2.5 billion investment. Under Mr. Hoskins’ leadership, the County has successfully implemented an Innovation Strategy that has moved it toward technology and private sector commercialization. Other recent successes include Nestlé, Applied Predictive Technologies, Deloitte, and Phone2Action. Previously, Mr. Hoskins worked in private real estate investment on Wall Street. Moreover, he served as Deputy Mayor of Economic Development for the District of Columbia, during which time he turned around the economy of the District with projects like The Wharf and City Center. During his career his work has resulted in almost 280,000 jobs, and he has lead the teams that negotiated more than 700 major business deals resulting in billions in private investment. He holds a Master’s degree in City Planning from Massachusetts Institute of Technology (MIT) and a BA with Honors from Dartmouth College. 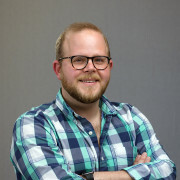 Aaron Bolzle is Executive Director of Tulsa Remote, a unique talent recruitment initiative of George Kaiser Family Foundation which has seen 10,000+ applications from over 150 countries and all 50 states. A Tulsa native, Aaron attended public school in Tulsa and graduated from Booker T. Washington High School. He attended the prestigious Berklee College of Music in Boston and graduated with honors. Aaron worked in digital marketing and production for Universal Music Group in NYC during one of the most transformative times in the digital music revolution and then spent eight years in California working for Apple at iTunes. After nearly 15 years away, Aaron returned to his hometown of Tulsa with a desire to make a positive impact in the city he was born. A year after returning, he launched Tulsa Remote. 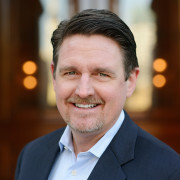 John Lambeth, attorney and Civitas’ President & CEO, specializes in developing unique funding strategies for tourism and travel promotion. 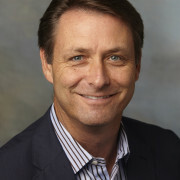 He has over twenty years of experience working with destination marketing organizations and state travel offices. 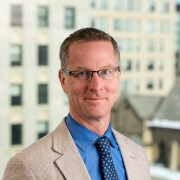 Whether adopting enabling legislation, building support among businesses and electeds, or guiding the formation process, Mr. Lambeth is the expert in tourism district creation. He has assisted in over 300 improvement districts, including 177 tourism focused districts, and helped create the first property-based improvement districts in California. The primary author of the Property and Business Improvement District Law of 1994, Mr. Lambeth also wrote legislation for several states and assisted with legislation in El Salvador and Brazil. He was instrumental in the drafting and adoption of California’s AB 483 to protect DMO funding for the travel industry. Mr. Lambeth is a prominent speaker on tourism districts. Visit England, the City of Maringa, Brazil, ISHAE, DMAI, CalTravel, Destinations International, US Travel, and the Association of Town & City Management in Ballymena, Ireland are among the organizations for which he has given presentations, and he addressed the 10th Annual BID gathering in Edinburgh, Scotland. 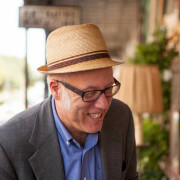 Featured in Forbes for his efforts to transform marketing funding models, Mr. Lambeth also became the 2014 recipient of the Cal Travel Promotion and Advancement of Tourism Award. He and his firm have been recognized as national leaders in the development and implementation of revolutionary financing mechanisms for destination management. Anna Bentson is the Assistant Director of Economic Development & Tourism for the City of Lynchburg. 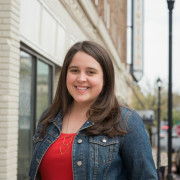 In her role, Anna leads tourism and economic development marketing, entrepreneurship and business development for the City of Lynchburg and its Economic Development Authority. Anna has a strong background in nonprofit management and cause marketing with a passion for urban revitalization and creative placemaking, having served as the marketing director for Thomas Jefferson’s Poplar Forest and the director of the Downtown Lynchburg Association. In addition to supporting Lynchburg’s businesses to attract and retain jobs and capital investment, Anna has led place-based and entrepreneurial efforts for the City of Lynchburg including the development of Create Virginia, CO.STARTERS and Launched in Lynchburg. She is a graduate of the South Carolina Honors College at the University of South Carolina and has earned a Certificate in Creatives Cities and Economic Development at NYU and a Masters in Nonprofit Leadership at the University of Lynchburg. 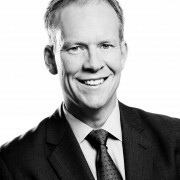 Doug is a born and raised Edmontonian who is currently the Director of Strategic Planning and Events for Edmonton Tourism. 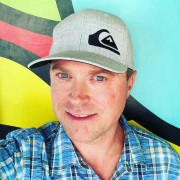 He leads the sport and cultural event attraction group and manages Tourism’s internal strategic planning to establish and promote Edmonton’s position nationally and internationally. 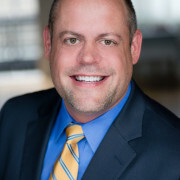 He has previously been a partner with a B2B marketing firm and has worked with various sports organizations. On the side you’ll find him broadcasting university and international sport and still trying to be an athlete himself. 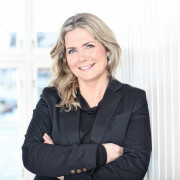 Laura benefits from a diverse portfolio of expertise in marketing communications and has a proven track record of 10+ years leading creative and design based teams/projects. As Director, Business Development at Entro, her focus is on ensuring the organization is poised for continued growth as well as shaping the international portfolio of work across key sectors such as cultural, transportation, corporate, civic, and commercial real estate. Prior to joining Entro, Laura was Managing Director at Crescent, a communications design firm serving the non-profit sector. Laura holds an Honours BAA and certificate in Design Management from Ryerson University. She earned her RGD designation in 2011 presenting a rich portfolio of work in identity, print communication, website and app design and development. 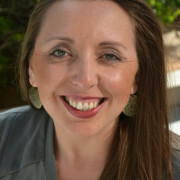 She has participated in mentorship programs through the Women in Leadership network and was on the Advisory committee for the School of Media Studies at Humber College, participating most recently in the review and endorsement of the proposed Bachelor of Design and Certificate in User Experience Design programs. Laura also sits on the Board of Directors and PR Committee for RGD and the Board of Directors for the Society for Marketing Professional Services Ontario chapter. Jessica Herrera was born and raised in El Paso, Texas and earned her Bachelor's degree in Government from the University of Texas at Austin and her Master's degree in Business Administration with a concentration in International Business from the University of Texas at El Paso. Jessica has more than ten years of economic development experience including expertise on business recruitment, retention and expansion efforts, small business development, real estate and retail recruitment strategies, and successful marketing and communication initiatives. As the Director for the City of El Paso’s Economic & International Development Department, she works to build and strengthen public private partnerships to rebuild key assets of the city and help create an environment that supports a vibrant regional economy.